Our daughter is a coke addict; she went to rehab, got discharged because of male contact. Now doing the 12-step recovery. Very concerned that she has chosen a man over her 3 boys and only talks about him and God? I certainly understand why you are concerned for your daughter. The fact that she was removed from rehab early is not a good sign. The fact that she may prefer a man and God to her children is also not a good sign. I would recommend that you call the treatment center yourself to understand why she was removed and to try to get her to go back and complete her treatment. Early removal from treatment usually means the addict will start using again. Developing a relationship while in rehab means that they both will start using again together. The last thing your daughter needs right now is to be in a relationship with another drug addict. That's probably why the rehab center removed her. 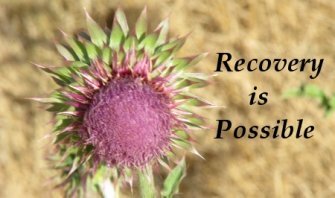 Addiction is a VERY difficult disease to treat and relapse is part of the disease. The drug has taken over your daughter's brain and she will not be herself again until the disease is gone. Your daughter may also benefit from individual counseling, often addiction co-occurs with depression which causes low self esteem. Depression may cause her to cling to a man to try to raise her image of herself. A counselor can fully diagnose her issues and make sure she is receiving treatment for everything.